After hearing Diät’s debut album Positive Energy, you might not be surprised to learn it was written while these Berlin-based lads were freezing their asses off. The influence that environment had on the album is tangible, in that the vibe coming from them is very different than what you hear coming from contemporary Brooklyn hipsters. The difference is that the struggle is real. They didn’t need to put down their pumpkin spice lattes to give you power-chord riffs that sound like what AC/DC might if Angus Young had become crippled by severe depression. They take a tension typical for post-punk and warp it into something their own. Diät speed things up for “Toonie,” and if you didn’t catch it on the first song, one of this band’s strengths lies in the twin guitar attack used to create layers rather than just doubling up. They are not here to play around with atmosphere, punching in and out with songs mostly around the punk-rock three-minute mark. The first hint of Joy Division doesn’t even go detected until you are three songs in, andwhile the vocals might have a downtrodden deadpan to them, they are not paying homage to Ian Curtis (most of the Joy Division influence comes from the bass playing, as it turns out). The guitar melodies coast on taut chords, while the vocals are more of a detached chant. Diät get pretty heavy for a band that isn’t actually playing metal and pound the point home when the songs build. Things grow darker for ” Schadenfreude,” and the effect on the vocals phase them in and out and help make things a bit creepier, but not in a Halloween goth way. And the album ends on its most punk track, “Sinkhole.” It’s straightforward, but Diat succeed in doing punk well, even though there’s just not much you can do with the garage rock sound. I look forward to hearing where these kids go from here. Diät strike a good balance—not too experimental and not so moody that it doesn’t pack a punch. Nor do they race off into punk recklessness and forget the finer points of songwriting. They have found their sound and know their limitations working within them. And while this kind of vocal delivery would normally get old for me four songs in, somehow they’ve kept me engaged. 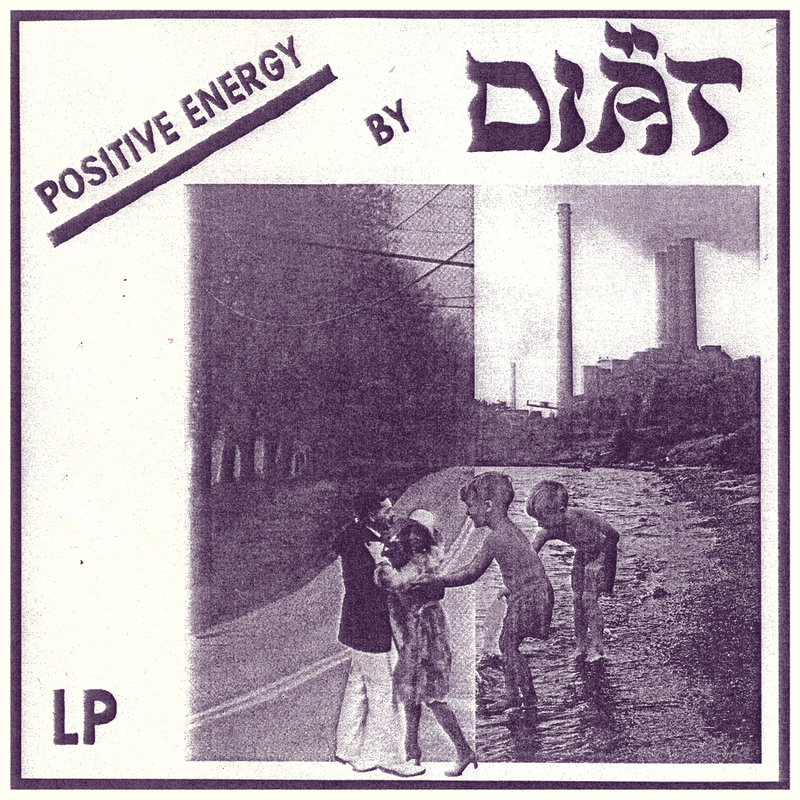 Positive Energy is post-punk that does more than just goes through the retro motions.